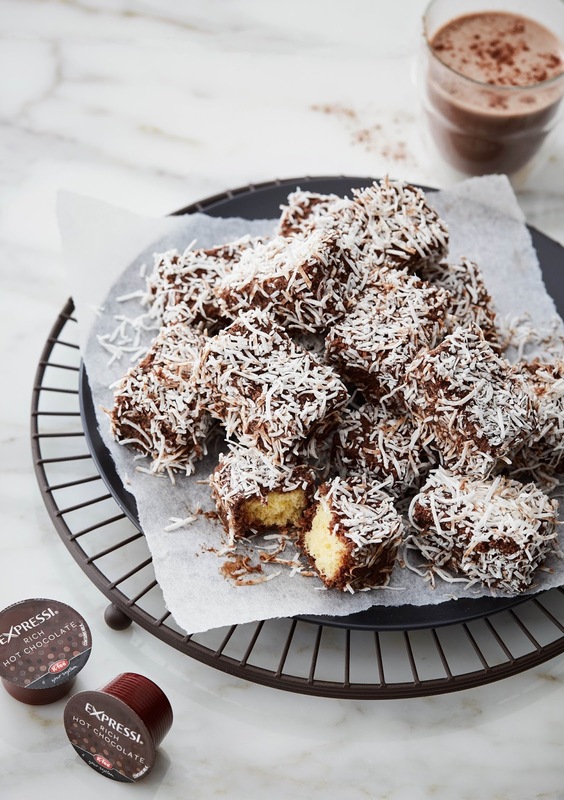 Australian Lamington Official Website: Anna Polyviou's Hot Chocolate Lamington - Easy to make and easier to eat! This website is dedicated to the history of - and insatiable interest in - Australia's most famous culinary icon: The humble Aussie lamington created by Lord Lamington, Governor of Queensland 1896 - 1901, following a kitchen mix-up. This is the official website of the Australian Lamington Appreciation Society (ALAS) which is committed to the preservation and promotion of Australia's national icon - our world-famous lamingtons. Lord Lamington Governor of Queensland - creator of the world-famous Australian Lamington. THE WORLD-FAMOUS AUSTRALIAN CULINARY ICON NAMED AFTER THE GOVERNOR OF QUEENSLAND - LORD LAMINGTON. The world-famous Australian lamington is over a century old. Despite some dubious claims from New Zealand, the lamington is as Australian as meat pies, kangaroos and Holden cars, ranking alongside the other true Australian icons of the pavlova, peach melba and Vegemite. This Australian culinary icon, which consists of sponge cake dipped in chocolate and liberally sprinkled with fine desiccated coconut, was created through an accident at work by a maid-servant to Lord Lamington, the thoroughly-British eighth Governor of Queensland. The maid-servant was working at Government House in Brisbane when she accidentally dropped the Governor's favourite sponge cake into some melted chocolate. Lord Lamington was not a person of wasteful habits and suggested that it be dipped in coconut to cover the chocolate to avoid messy fingers. Lord Lamington devoured this new taste sensation with great delight and the maid-servant's error was proclaimed a magnificent success by all! The Governor however is on the record as calling them "those bloody poofy woolly biscuits". 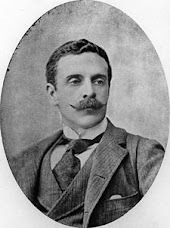 Lord Lamington was born in London, England on 29 July 1860 as Charles Wallace Alexander Napier COCHRANE-BAILLIE holding the aristocratic title of Baron Lamington. 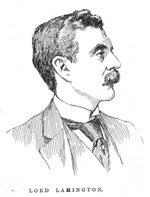 He was Governor of Queensland from 9 April 1896 to 19 December 1901. After leaving Queensland, he went on to become the Governor of Bombay in India for 4 years. He died at Lamington House, Lanarkshire, Scotland, in 1940. According to Hansard page 728 at the Australian Constitutional Convention in Canberra on 11 February 1998, Cr Paul Tully, an elected delegate representing "Queenslanders for a Republic" suggested that his extensive research of the Governors of the 6 Australian colonies and states had produced evidence of only "one, single, solitary, positive achievement of any Governor since the First Fleet arrived in 1788" and that was Lord Lamington's contribution to the culinary delights of the Australian nation! Lord Lamington served Queensland for 5 years but despite all of his colonial, aristocratic pomp and ceremony, the only thing which Charles Wallace Alexander Napier COCHRANE-BAILLIE will ever be remembered for in Australia is the creation of the world-famous lamington. 1 cup self-raising flour 1/2 cup milk. Beat the eggs well, gradually adding the sugar until dissolved. Add the milk and vanilla essence and then stir in the self raising flour and whip the butter into the mixture. Pour the mixture into a cake tin or lamington baking dish and bake in a moderate oven of 180 degrees Celsius for 35 minutes. Allow the cake to cool for at least 10 minutes and then stand for 24 hours preferably in the refrigerator, before applying the icing. Stir the cocoa and icing sugar vigorously in a large bowl, adding the milk, butter and boiling water, warming the chocolate mixture over a very low heat until it has a smooth creamy texture. Cut the sponge cake into equal squares about 5cm x 5cm and, using a fork or thin skewer, dip each piece into the chocolate mixture ensuring that the mixture is liberally and evenly applied. Dip each piece into the desiccated coconut, allowing the lamingtons to cool on a wire tray for several hours. THEN SIT BACK, RELAX AND SAVOUR THE DELIGHTS OF YESTERYEAR COURTESY OF LORD LAMINGTON'S ABSENT-MINDED MAID-SERVANT! THANK GOD, THE LAMINGTON WAS NOT CHRISTENED THE "COCHRANE-BAILLIE". IMAGINE ASKING FOR A "COCHRANE-BAILLIE" IN A CAKE SHOP! Do you have an interesting historical anecdote about the Australian lamington? Please email the Australian Lamington Official Website. Anna Polyviou's Hot Chocolate Lamington - Easy to make and easier to eat! These look absolutely delicious: Anna Polyviou's Hot Chocolate Lamington. They are easy to make and are an all-time Australian and world favourite. They are easy to make and easier to eat! Lord Lamington once described his world famous creation as "those bloody poofy woolly biscuits". National Lamington Day - 21 July - Pride of Australia! Strawberry filling is equally delicious. No copyright is claimed by the author of this site (unless indicated) but attribution appreciated. Simple theme. Powered by Blogger.